Measure the diameter (X) of the work. 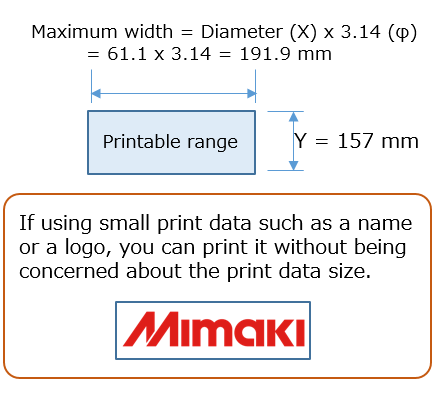 The height (Y) of the print data is the height of the drawing range, and varies with the data to print. Using design creation software such as Illustrator, create EPS-format data. ・Registration marks, cut lines, margins, and so on are not necessary. ・Data can be rotated with RIP, so you can create data in landscape format. ・Besides EPS, you can use other formats such as JPEG, PDF, and TIFF. From the diameter of the work, judge the setting position. The setting location differs with the size of the work to print on, so place the work on the roller suitable for the diameter. * For information about the advanced settings of Kebab, see the operation manual. 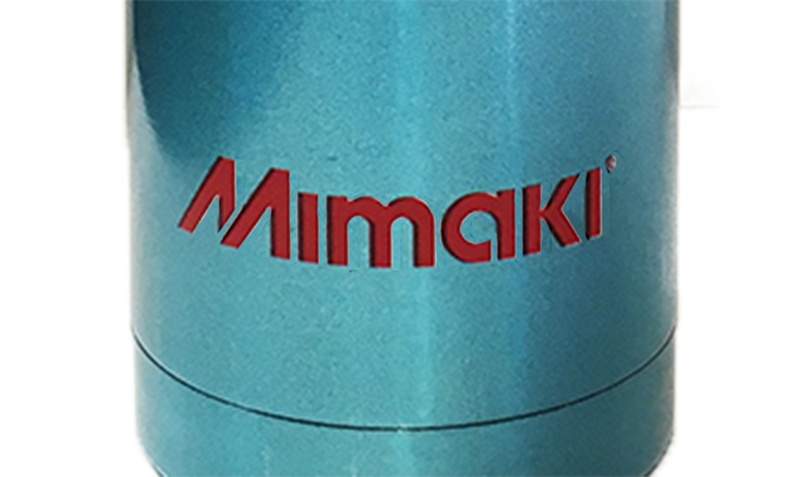 To determine the print start position when rotating several times (when using a primer or a clear ink), paste mark tape to the work as a mark. During origin setting, the sensor will automatically read it. 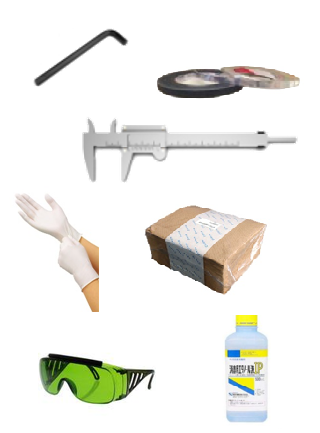 * Using cloth and alcohol, remove any oil and dust adhering to the work. ・Paste mark tape to a position where there is no print data. 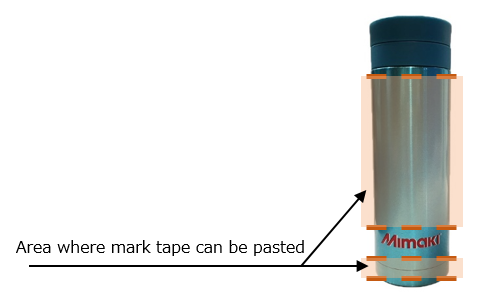 If there is print data at the position where the mark tape is read, false recognition may result. ・Use appropriate mark tape color according to the basic color of the work. Highly reflective material (e.g. aluminum): Low reflective color tape including black. 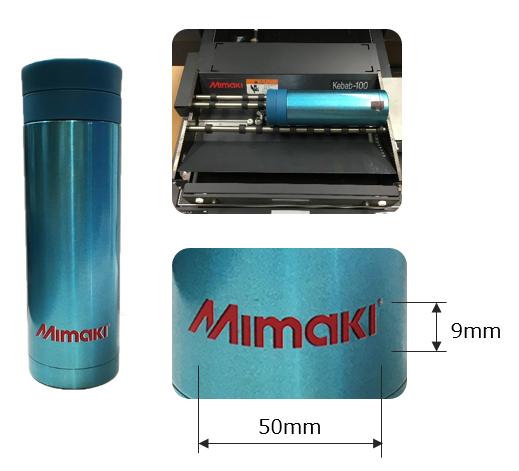 ・The mark tape-based origin reading function is effective for large diameter prints only. ・If the supplied mark tape is used up, use commercially available tape. Prepare the main unit and the Origin sensor. Move the Origin sensor to a position where the mark tape is easy to read. * You can slide the Origin sensor from side to side. 1. Set origin mark reading to [ON]. [FUNCTION]→[WORK SET]→ Enter or adjust diameter of the work by pressing an up or down arrow key on the operation panel of the printer. 3. Turn the gap check function* to [ON]. * Gap check function: Automatically adjusts the print head to an optimal height. 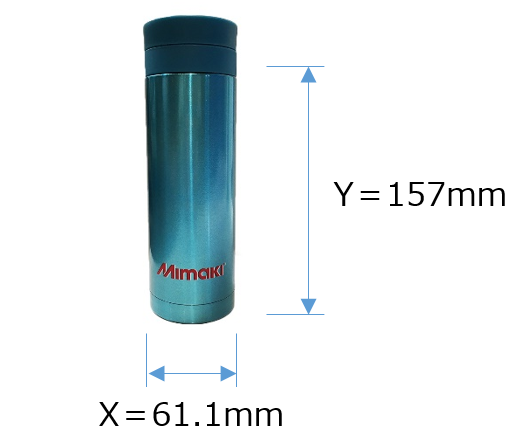 differs depending on the measurement portion. the origin of the work. 5. Press [ENTER] to make sure that the mark tape has been read. On RasterLink6, display the Kebab icon. ・You must make the icon display settings only when using Kebab for the first time. ・Send print data to RIP. On RasterLink6, edit the print data. ・Rotate the print data by 90 degrees. * For information about the advanced settings of RasterLink6, see the operation manual. * To protect your eyes from UV light, use safety glasses during printing. To use a primer or a clear ink, you must mark the origin by an adhesive tape to read the origin of the work/object. 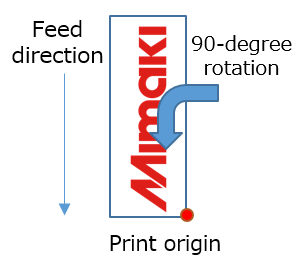 The rotation direction varies depending on the printing conditions. 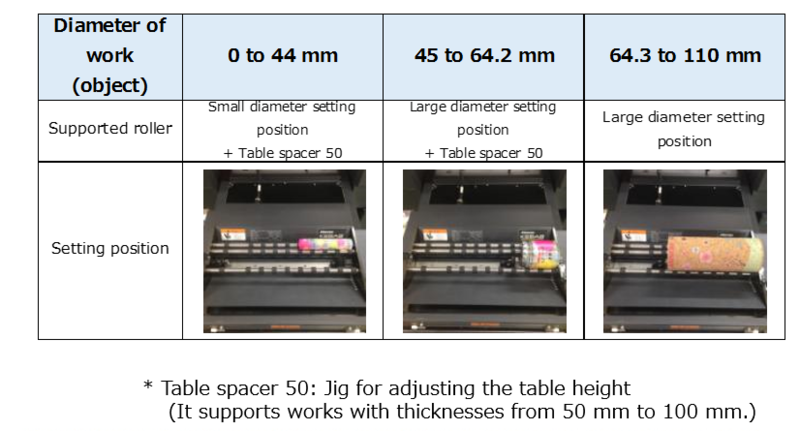 ・Before start small diameter printing, follow instructions as described below. 1. In order to prevent ink mist adhesion to the sensor, reattach the cover to the appropriate place if you have not used the cover. 2. 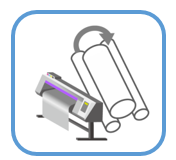 In order to protect the printer, remove the work holder installed on the right side of the main unit, which is used for large diameter printing, because it may collide with the main unit cover. 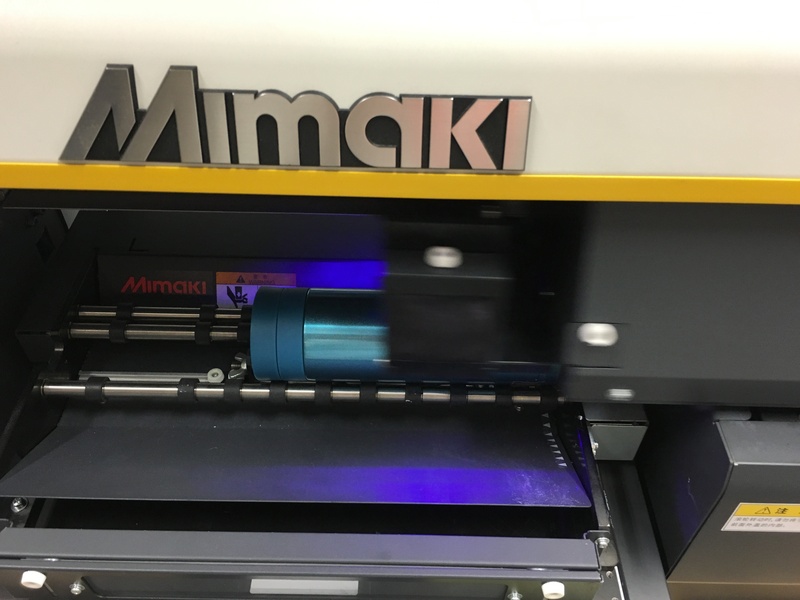 Before starting production, please perform test printing on target materials, and check print results including the degree of ink adhesion, fastness and so on.